This bright, modern studio in Barcelona is situated a hop and a skip away from the beachfront. 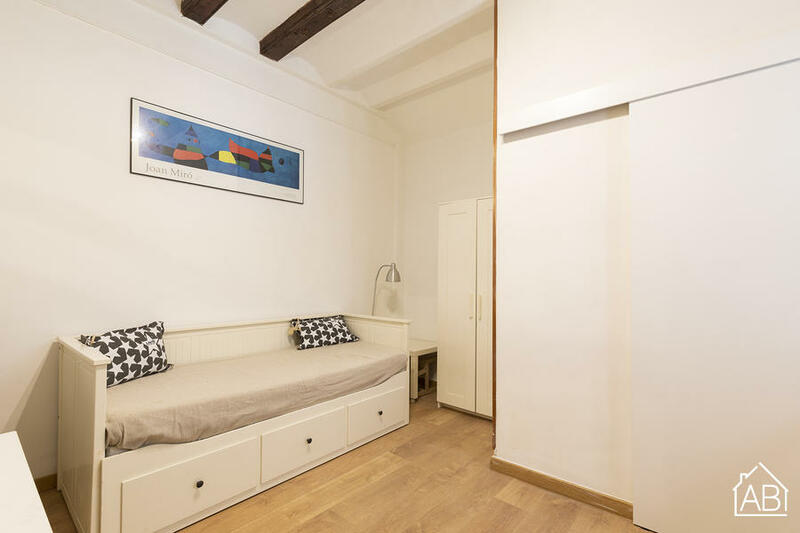 Located in the quirky area of Barceloneta, the old fishermen´s quarter, the studio is in the heart of a lively street where you´ll find great bars and restaurants serving up some great seafood and tapas. Perfect for those of you who enjoy being near the coast as well being able to make the most of city life, the studio offers the best of both worlds. The nearest metro stop is a five minute walk and within ten minutes you can be in the heart of the Old Town. This stylish studio has everything you may need to ensure a comfortable stay. There is a fully equipped kitchen and clean, modern bathroom. There is also Internet, TV, air conditioning, heating and more, ensuring that your time in Barcelona is none other than a home-from-home experience.